ShortcakeScraps has moved! 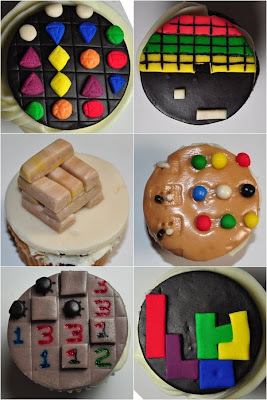 : cupcakes on the brain! With the "Celebrate the Somerville Sensation" party coming up this Sunday, it's no wonder I have cupcakes on the brain! (Apparently, so do a lot of other people ... it's been mentioned here, here, and here! Yikes!) We're anticipating a pretty large turnout at the event, so if you plan to go and try one of the free mini cupcakes, be sure to get there early! And then one of my friends from middle school who I recently got back in touch with online(gotta love that about Facebook!) 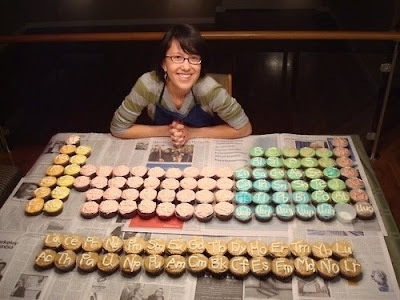 emailed this photo to me of someone's cupcake creation of the periodic table of elements. Whoa! Now that took a lot of time to put together! I can't wait to see what Melisa has in stock this Sunday at Davis Squared for the cupcake event. She said that they've been hiding stuff in the back to reveal this weekend. And don't forget! Anything with a cupcake on it is 10% off during the event. Hope to see you all there!